King tides this weekend flooded parts of Imperial Beach and created a spectacle for many at San Diego-area beaches. 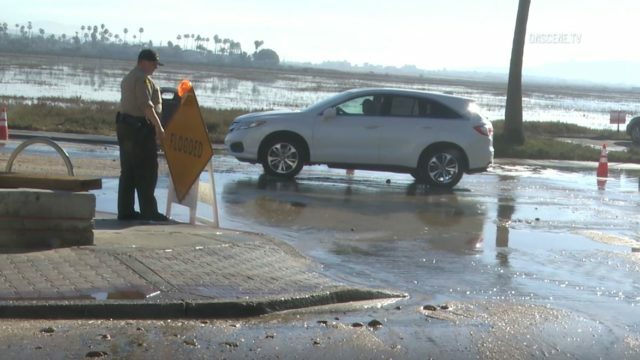 The tide poured over a seawall in Imperial Beach on Saturday morning, flooding Seacoast Boulevard at Cortez Avenue and trapping several vehicles. 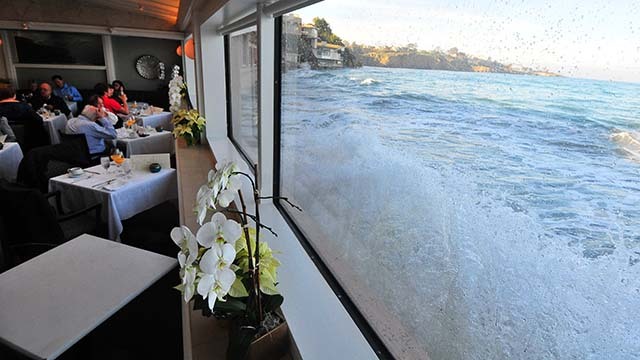 In La Jolla Shores, waves splashed against the giant picture windows of the iconic Marine Room restaurant. The high tide Saturday morning in La Jolla was 6.68 feet, and was projected to be 6.75 feet at 8:43 a.m. on Sunday. King tides occur when the Earth, Moon and Sun are aligned, resulting in a large tidal range. They are enhanced when when the Earth is closest to the Sun around Jan. 2 of each year.